Take a look at the completed bracket below. 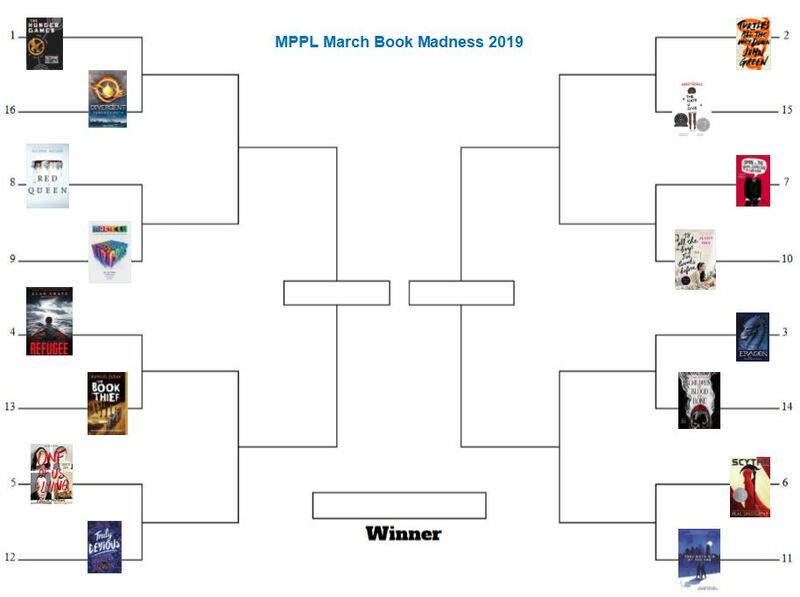 March Book Madness is your chance to see your favorite book win it all in the brackets! Stop by the Teen Space and check the wall to see which books are still contenders. The FINAL FOUR are now competing! Pick your favorite and vote at the Fiction/AV/Teen desk. 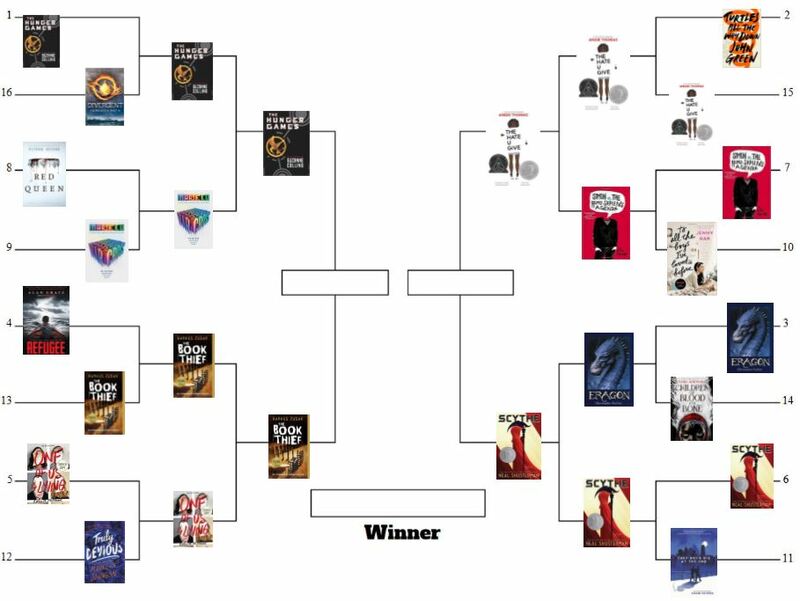 March Book Madness is your chance to see your favorite book win it all in the brackets! Stop by the Teen Space and check the wall to see which books are still contenders. 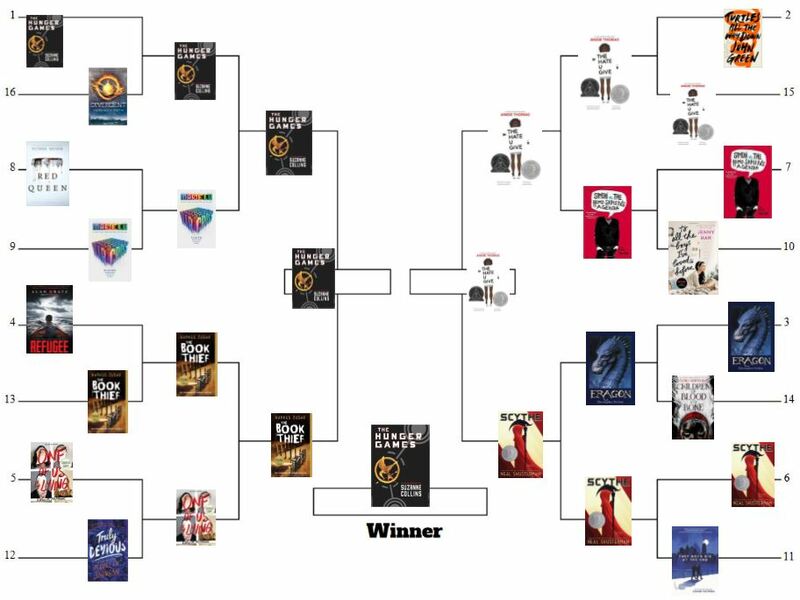 Pick your favorite and vote at the Fiction/AV/Teen desk! Who will win?? ?